Two weeks down, two projects done. I made it exactly as she instructed except that I used a regular boring lemon instead of a fancy Meyer lemon. And it was very delicious. 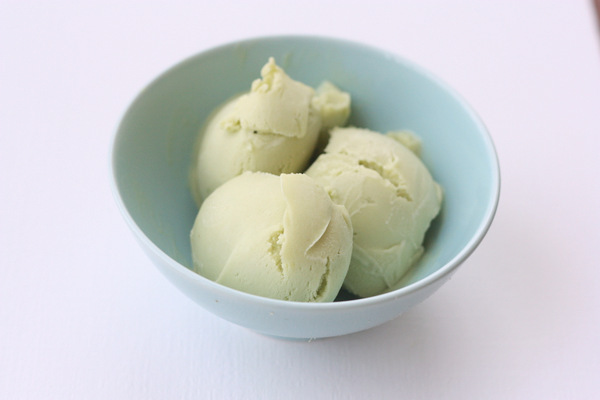 I actually made another avocado ice cream this week too, because Bart’s sister and her husband were visiting and she can’t eat dairy. I made this chocolate/coconut/avocado ice cream which was also excellent (but I’d leave the dates out next time because I couldn’t get them to blend up completely (although I might have had better luck in the blender than in the food processor)). So, double points to me for over achievement on that category. And then points for procrastination on this one which I did yesterday afternoon in the last fifteen minutes of Ella’s nap (by which I clearly mean “quiet time” since there was no napping going on during that last fifteen minutes). This was an extremely gratifying project, what with it taking ten minutes to do them all and they also ended up looking 10000x better than they’d looked previously. Also, this is reminding me that I should go take them out of the oven where they’ve been cooling for the last . . . five hours. Now, onto homemade gummy bears. I’ve even bought a tiny little cutter so I can make stars (bears are boring). And there’s still time to join up if you’d like! 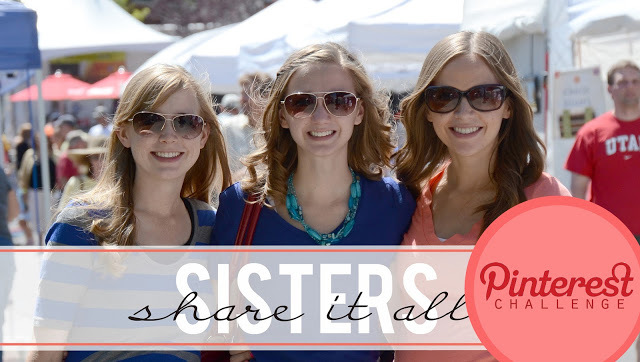 Just pick six pins and link up your post here! The mugs are really cute! Great job! I've been loving this challenge and we've actually gotten three of our six done so far! the ice cream looks SO perfect and love the mugs! I didn't sign up when you first posted about this, but I actually have made 2 things from Pinterest in the last two weeks! Those mugs are TOO cute!! I love, love, love them! I wish I could have tried the ice cream 🙂 sounds like it turned out well though– you girls are just too good at time management! I can't wait to hear how the gummy stars turn out. 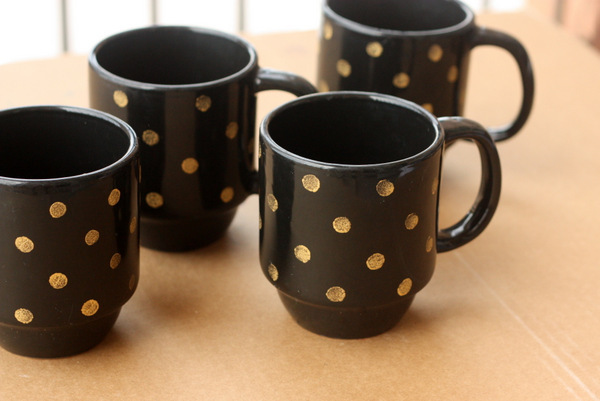 Did you just use gold paint for the mugs? They turned out so cute! Love the way the cups turned out, so cute! love the mugs! i have done one of my pinterest items so far. a couple require my sewing machine, which is out of commission at the moment. hoping to get back on track this weekend!